The 2007 Toyota Tundra is one of the most desirable and functional full-size pick-up trucks on the market. This Tundra is available in the Double Cab body style, with the SR5 trim package. It features the 381 horsepower 5.7-liter V8 with a 6 speed automatic transmission. Standard equipment includes dual zone climate control, cruise, keyless entry, AM/FM/CD/Satellite audio, airbags and park assist. 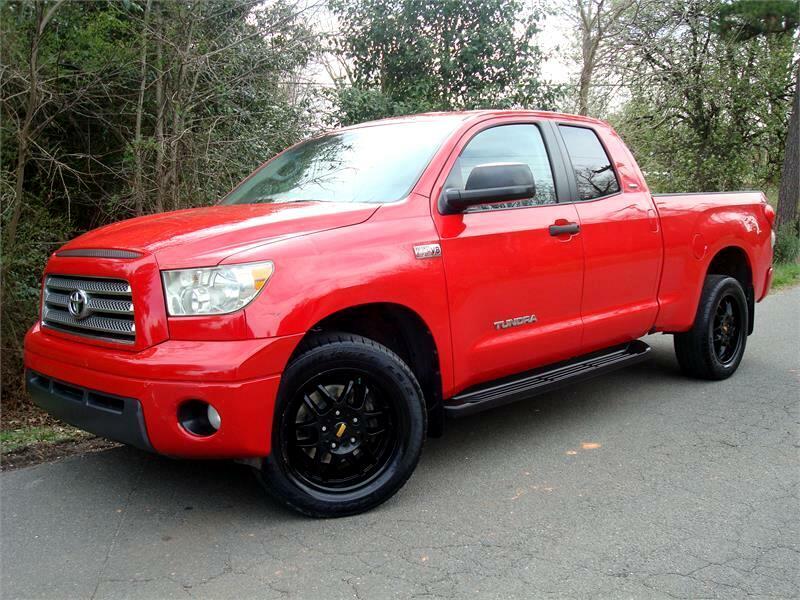 This Tundra comes in beautiful radiant red over gray seats featuring the SR5 package with 20" XSP wheels! Also features running boards, bed liner & the tow package.